Quick Takes - 2/109 - Quick Takes from Voice for Liberty: Individual liberty, limited government, economic freedom, and free markets in Wichita and Kansas. The City of Wichita cracks down on panhandling. From December 2017. Following, from Sedgwick County Commissioner Jim Howell, an explanation of his recent vote, along with insight on current events in Sedgwick County. From Howell’s Facebook post on December 5, 2018. Today, I supported the settlement “Agreement and Release” between Sedgwick County and county manager Mike Scholes for $205,427. This is exactly 13 months’ salary which is the amount Scholes would be paid during the remainder of his contract which would expire on December 31st, 2019. Note, this contract was renewed in September 2017, or about 15 months ago. At that time, commissioners had the opportunity to not renew Scholes employment contract. Nevertheless, it was renewed. The settlement amount does not include benefits such as vacation, sick leave, cell phone, or car allowance. The amount is roughly equivalent to 9 months’ salary plus benefits. The higher settlement amount was necessary to secure the release. Without the release, the county would have significant risk of additional litigation. For this reason, the attorneys representing the county in this case recommended we accept this settlement with the ‘release’ to eliminate additional financial exposure with potential higher costs to the taxpayer. In my opinion, Scholes case against the county was substantial. The defense alone could have easily cost the county $150,000 to $300,000 plus Scholes’ legal costs plus any settlement deemed appropriate by a judgement. By supporting this settlement today, Scholes has agreed to drop any civil claim against the county and that puts the issue behind us. We needed to settle the case to save the county further embarrassment and more cost. In my opinion, the effort to terminate Yost and Scholes was not based on substantive issues but motivated by personal and political reasons. It may have been retaliatory. County policy was violated and due process was ignored. The culmination of these failures collectively cost the taxpayers nearly half a million dollars. Had we not accepted the settlement today, the costs to the county could have been much higher. With respect to, “decisions that have proven to be very costly”, I would challenge that statement. Through my advocacy, millions of county dollars have been saved. This is an easily proven fact. In contrast, the actions and comments of some of my colleagues over the last couple of months has directly cost the county nearly half a million dollars. With respect to the statement that I am “…supporting multiple threats”, please know that I have not supported any threats against the county. That allegation is utterly false. The fact is, the claims against the county are substantial and serious. For two of the commissioners to vote NO on this settlement demonstrates that they are not taking the legal threat seriously or do not understand exposure the actions and comments of those commissioners have caused. With respect to, “…there’s no further external investigations…” please know the FBI does not inform us of their timeline. The indictment of one of my fellow commissioners took about 14 months from the time the media reported the wiretaps until he was officially indicted. It has been another 7 months since those indictments were released and has yet to go to trial. Just because the FBI has not done something publicly in 2 months does not mean there is not an active investigation. Furthermore, an investigation from the District Attorney’s office regarding Kansas Open Meeting Act for alleged actions related to the effort to terminate Scholes is currently underway. Candidates in Kansas who promise more spending ought to explain just how higher taxes will — purportedly — help the Kansas economy. From November 2016. Did the Kansas Supreme Court read these cases? The merit system of judicial selection in Kansas has sprung a leak, finds the United States Supreme Court. From November 2016. One of the purported benefits of the merit system of judicial selection in Kansas is that it produces quality jurists who rule on the law, not on their personal beliefs or ideologies. JUSTICE SCALIA: Did the Kansas Supreme Court read these cases? JUSTICE SCALIA: How can you explain it if — if indeed our prior cases are so clear on the point? JUSTICE SCALIA: They don’t like the death penalty. Here, in one exchange, Scalia exposes the legal incompetence of the Kansas Supreme Court because they rule based on their policy preferences, not the law. “Did the Kansas Supreme Court read these cases?” That’s a question a law school professor asks a lazy student. It shouldn’t need to be asked of justices on the highest court in Kansas. But the United States Supreme Court found it necessary to ask if Kansas judges were reading their cases. This is precisely what the merit system is supposed to avoid. For more on this see this video from Joseph Ashby. A Wichita business newspaper’s editorial ignores the history of our local economy. Even the history that it reported in its own pages. From August 2016. None of this should be a secret to the editorial writers at the Wichita Business Journal. Two years ago it reported on, and showed, a chart from the Wichita Chamber that is similar to the chart at the end of this article.2 That chart showed slow job growth in the Wichita area. 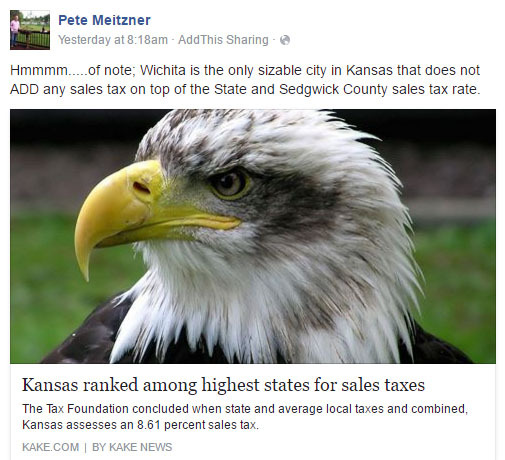 The Chamber used it to campaign for a new sales tax in Wichita. Why don’t Wichita Business Journal editorial writers understand this? 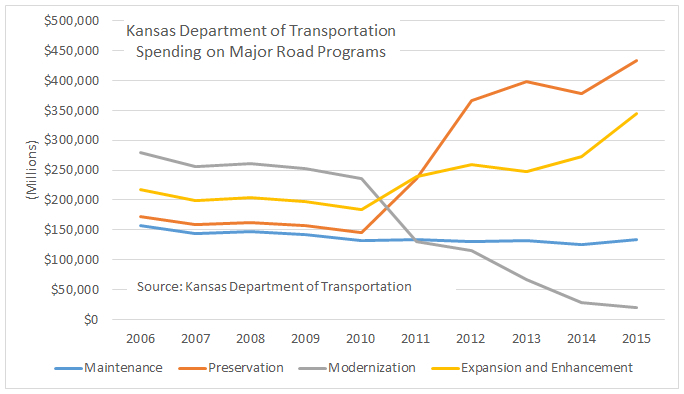 Regardless of one’s view on government’s role in economic development, to write as though we’ve had much growth in Wichita is factually incorrect. It’s not responsible. 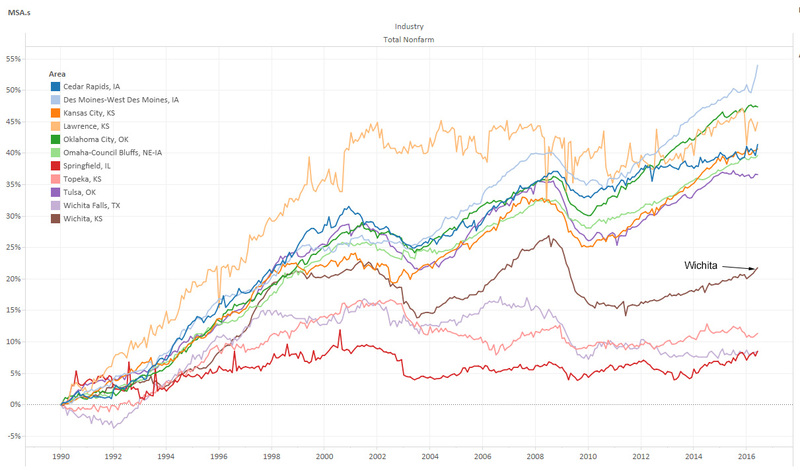 An interactive visualization that is the source of the following chart is available here. 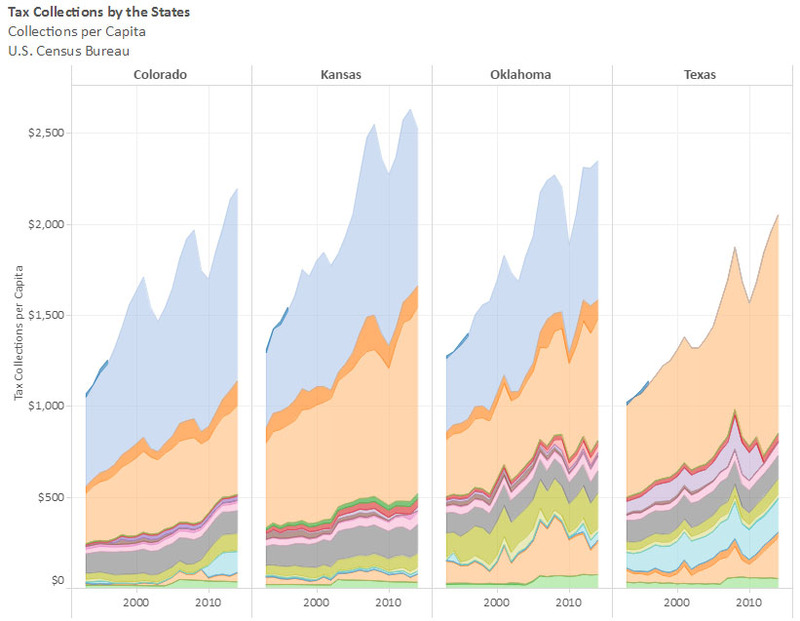 Wichita MSA and other job growth. Click for larger. 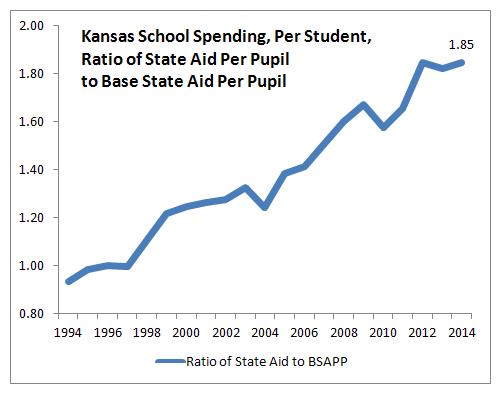 Which Kansas Governor made these proposals? Cutting spending for higher education, holding K through 12 public school spending steady, sweeping highway money to the general fund, reducing aid to local governments, spending down state reserves, and a huge projected budget gap. Who and when is the following newspaper report referencing? Under _____ budget for fiscal _____, public schools would continue to receive $3,863 per student in state aid, and higher education would lose only $5 million in general tax dollars, mostly in the central Board of Regents office. But _____ would take $165 million from highway projects and eliminate $86 million in aid to local governments — on top of the $95 million _____ withheld from highway projects and $48 million _____ kept from cities and counties. _____ also made a campaign promise to build all projects promised under the state’s 10-year, $13.5 billion transportation program. _____ proposals didn’t say how the Department of Transportation would deal with the loss of funds. _____ budget also would allow the Kansas Highway Patrol to hire 70 new troopers, give state employees a 1.5 percent pay raise, and prevent the closings of four minimum-security prison units and two inmate boot camps. 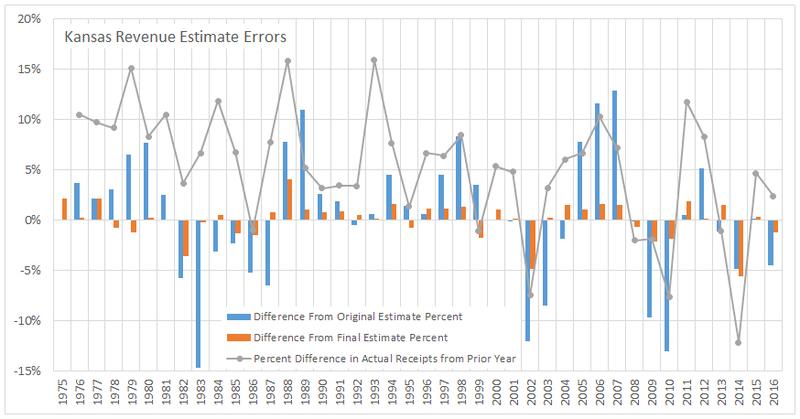 Under _____ proposals, total spending in fiscal _____ would decrease about $31 million, or 0.4 percent. 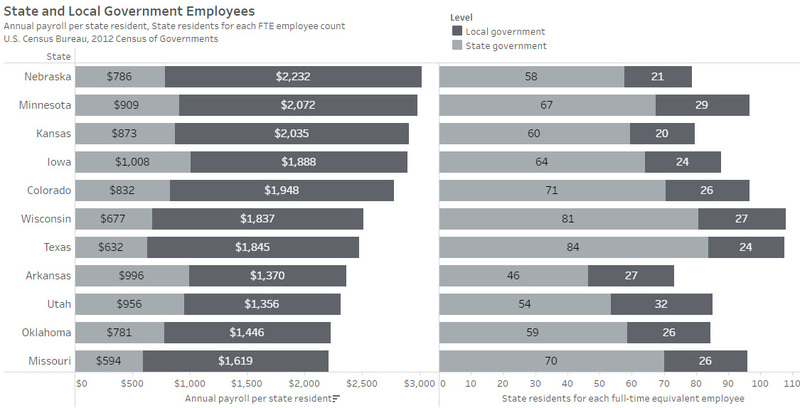 But that figure didn’t convey the seriousness of the state’s budget problems, which some officials have said are the worst since the Great Depression. The gap between expected general tax revenues and spending commitments during the next 18 months is more than $1 billion. _____ also proposed to help eliminate the gap by spending some $313 million — all but $500,000 — that otherwise would be set aside as emergency cash reserves. This is coverage from John Hanna of the State of the State Address from Governor Kathleen Sebelius in 2003, where she revealed plans for the fiscal 2004 budget. (Except the blank in “on top of the $95 million _____ withheld from highway projects” refers to her predecessor Bill Graves.) The original article is here. 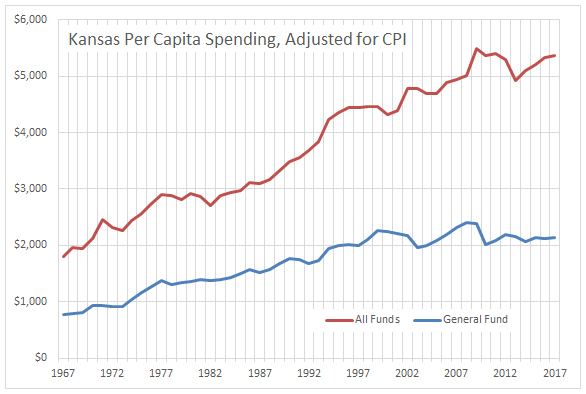 Before wishing for a return to the “good old days,” let’s make sure we understand the record of the Kansas economy. From July 2014. Comments by two Wichita city council members give citizens more reasons to be cynical and distrusting of politicians. From July 2016. An editorial in the Kansas City Star criticizes a Kansas free-market think tank. From July 2016.